Fill out a Records Transfer Form to give the Archives staff an overview of what you're sending. Include the completed Records Transfer Form inside of the box(es) and email or enclose any other form within the first box. 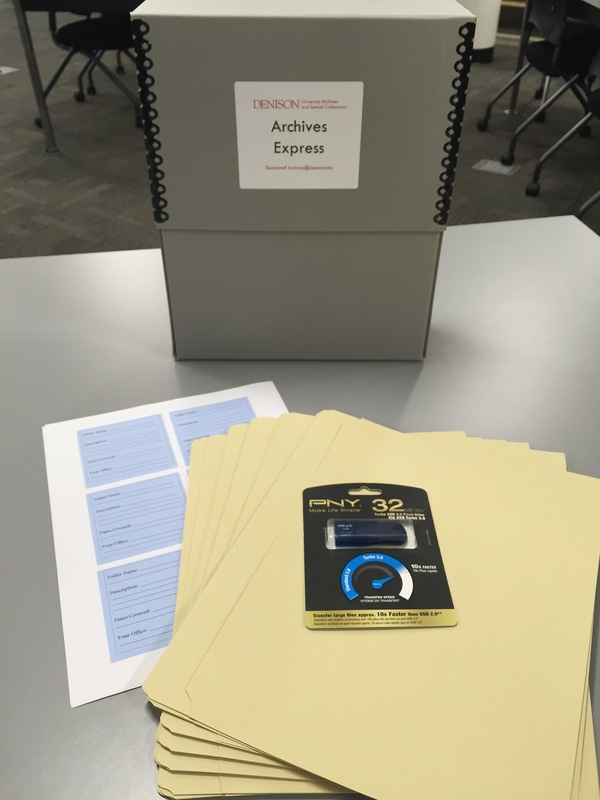 Submit a work order to move your box(es) to the Archives Workroom (B05), or email the Archives to make other arrangements for transporting the material. When the movers arrive to take the box(es), send us an email to give a heads up that your records are on their way. Fill out the Shredding Transfer Form. Attach the completed form to each box of shredding you have. Contact Colleen Goodhart so that she can arrange for the shredding to be picked up. Access the campus-wide Records Management Policy and Retention Schedule by logging into MyDenison > Campus Resources > Campus Reports and Documents (under Administration) > Records Management.